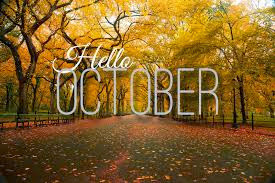 I'm so happy to welcome the month of October! October is the epitome of fall, with the change in colors and seasons. It's also a fun, yet busy month for celebrations in our family. My hubby and I will celebrate our 13th wedding anniversary this month, and I get to be thankful for celebrating another year of life (well, that's my spin on birthdays at my age!). I also associate the month of October with rustic elements and natural textures, such as rope. 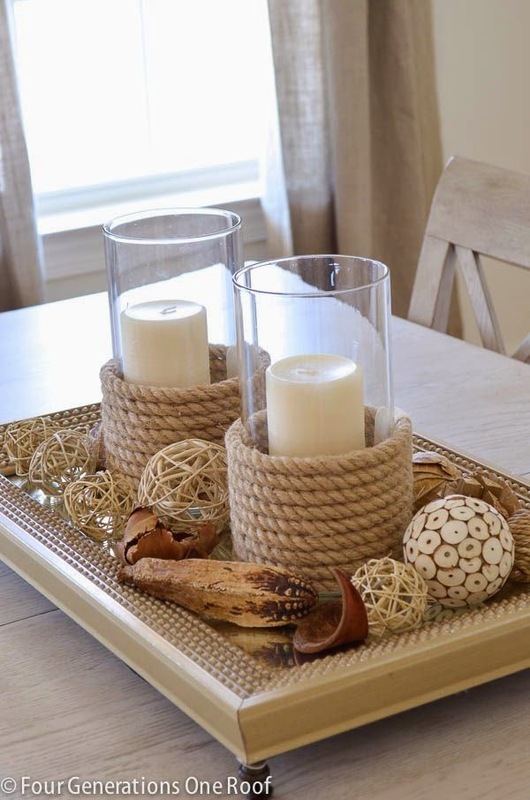 Here are a few SUPER EASY rustic home decor ideas using rope that you can do all by yourself with minimal effort and time. All you need is some twine/rope, a hot glue gun, and the object of your choice! Four Generations One Roof - Click here for tutorial. 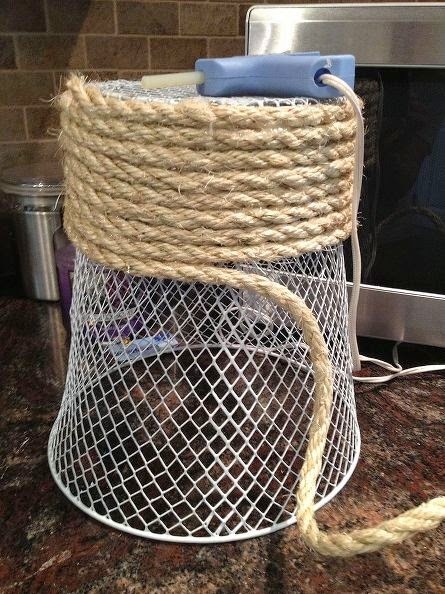 DIY Network - Simply add rope to the top of the candle holder to create a lantern! 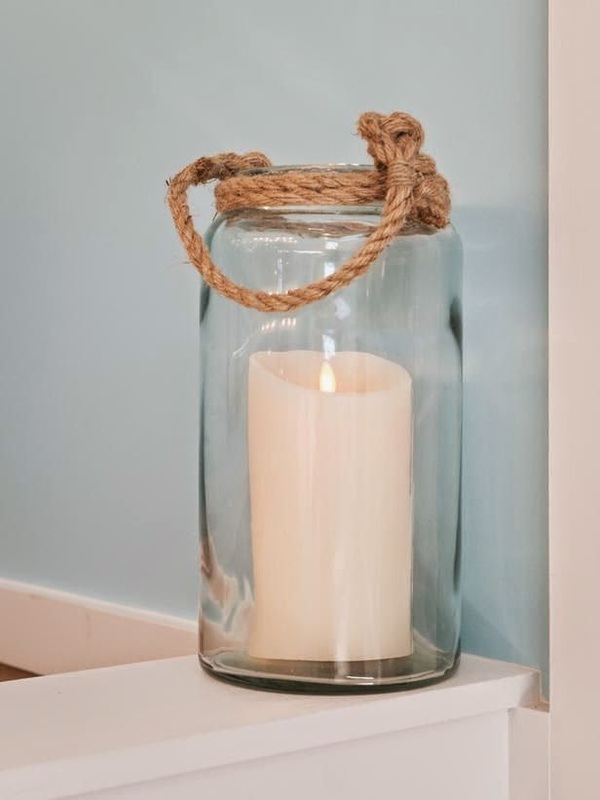 Tip: Wrap twine around ready-to-light candle jars to make things even easier! Hometalk - Click here for details. Turn a cheap wire (or even plastic) wastebasket from your local dollar store into a more stylish and decorative basket! I love this idea. 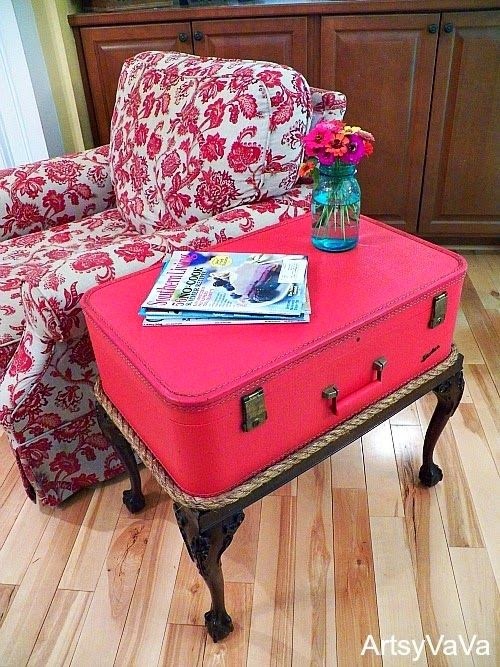 Combining two re-purposed items (in this case, a suitcase and table base) is a great upcycling project. The rope provides a finishing touch to camouflage any gaps! 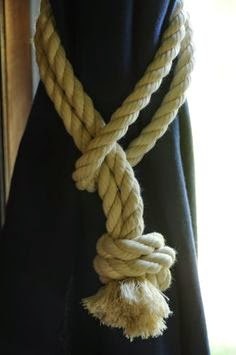 Tips: You can add rope to just about anything to give an object a more rustic appearance. 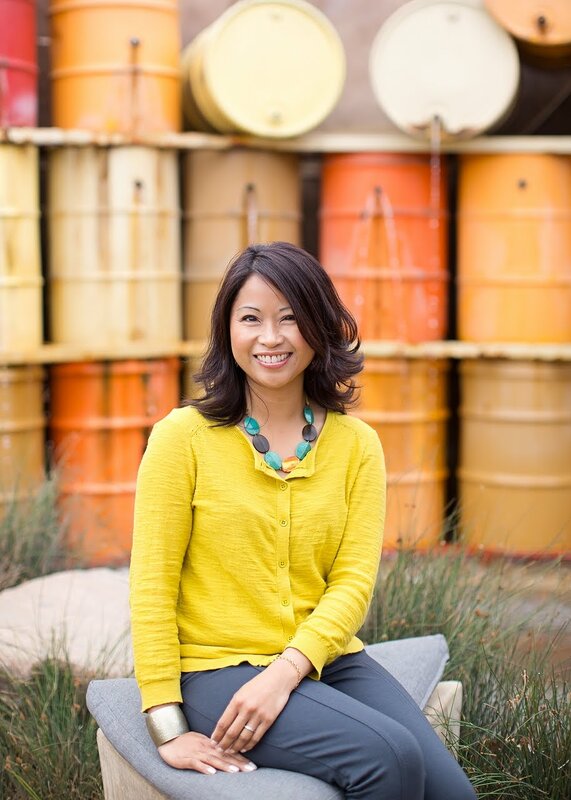 Some favorite objects of mine include: mason jars or old spaghetti jars, recycled tin canisters, plain lamp shades or lamp bases, plastic photo frames, pillows (trim), and mirrors (hang on a rope)!